MacBook touch, iPad Air and iPhone nano on the way? For anybody who wants to know what a company is thinking, just look at its patent portfolio. Patents are about protection: without them there's nothing to stop your rivals from copying your best ideas and making money from your hard work. If you patent your revolutionary unicorn-powered laptop and a rival copies you, you'll be able to sue them until they squeak - and possibly get their product pulled from the shelves too. 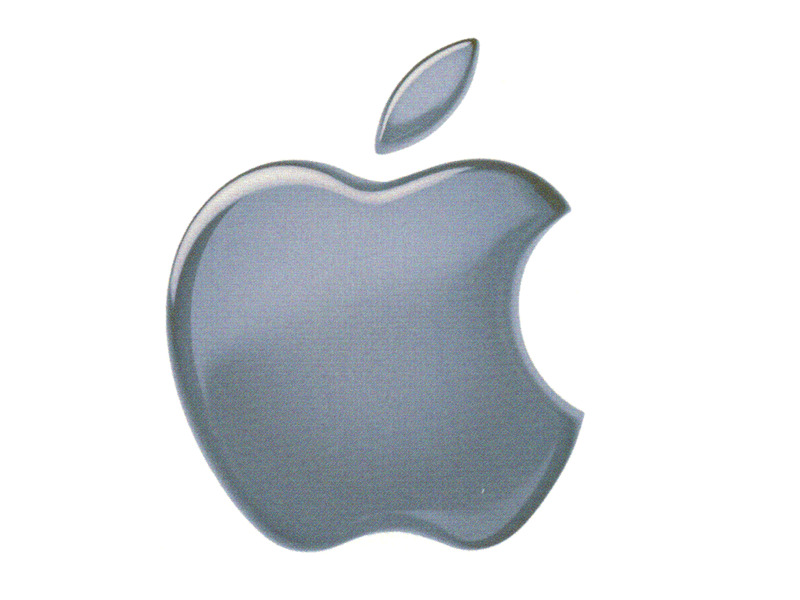 Smart companies patent everything, and Apple is a smart company - so a trawl through Apple's worldwide patent applications can uncover future products. Back in 2006, patent application 20,060,268,528 showed what was described as a "portable computing device capable of wireless communications... [that] is a media player". A few months later, Steve Jobs unveiled it: the iPhone. If you'd seen the patents Apple was filing in 2004 and 2005, the iPad wouldn't have been a big surprise either. There was the patent application for a touchscreen that can "detect multiple touches or near touches that occur at the same time and at distinct locations"; one for "virtual input device placement on a touchscreen user interface"; one for "activating virtual keys of a touchscreen virtual keyboard" and "Electronic Device - Design Patent", a 2005 application that looks awfully like everybody's favourite tablet. So can you use the patent offices as crystal balls for Apple kit? Yes and no. Applying for a patent doesn't mean you'll do anything with it; a firm's patent portfolio can include tangents, abandoned ideas and inventions that nobody knows what to do with. It can also include patent applications designed to frustrate competitors - the first firm to patent an obvious idea can charge everybody else who wants to use it - or as a form of insurance, with companies patenting far-fetched ideas on the off-chance that something might come of it a few years down the line. And patenting inventions is a slow process: in some cases they aren't granted and published until long after the invention goes on sale, meaning they're not much use for predicting the future. For example, the patent for last year's iPad Dock didn't surface until December. Browsing Apple's patents is a lucky dip, but it's given us lots of ideas about the sort of products we might see from Cupertino in the future, so we thought we'd share a few of the best here. Imagine owning an iMac with a glasses-free 3D display, which turns into a multi-touch iOS device with a single push. It's an iMac with three key improvements: an iPad-style multi-touch screen, a hinged base that enables you to lay the screen flat on your desk or have it vertical like a traditional display, and a rippled, 3D-capable display that uses head tracking to adjust the on-screen 3D effect so it remains pin-sharp. When it's upright the iMac is a desktop Mac; fold it down and you can use it like an iPad. Multi-dimensional Desktop, USPTO application 20080307360, December 2008. There's a fundamental problem with having touchscreen on a desktop computer - that is it gives you very sore arms. Prodding away at a vertical screen might be fine for cash machines, information kiosks and other devices you'll only use for short periods, but for serious applications it simply isn't comfortable or accurate enough. And that's why touchscreen PCs have never taken off. By bringing the screen to a comfortable working height, however, the iMac touch would solve that problem. We already know that OS X Lion is bringing the best of iOS to OS X; so why not bring the best bits of the iPad to the iMac too? As for 3D, we're not convinced that 3D can become mass-market when it needs ridiculous specs, but glasses-free 3D in a family-friendly machine is a different proposition altogether. The 3D display patent describes using a projector rather than a normal computer screen, but it's one of several 3D patents that include 3D OS interfaces, so Apple's clearly thinking about 3D Macs. If anyone can make desktop 3D attractive, it's definitely Apple. This would be a completely wireless computer where even the power might be delivered by wireless induction rather than via a traditional cable. Apple's Computer Systems patent "may provide an entirely new and revolutionary category of computer systems", that is a "desk-free computer". This would use a projector rather than a traditional display. Computer Systems and Methods with Projected Display, USPTO application 20100079468, September 2008. Image Processing for Camera Based Motion Tracking, USPTO application 20110006991, January 2011. Imagine a hybrid between the Apple TV and the Mac mini - a cloud-based hybrid that takes the Apple TV's minimalism a step further by banishing every single cable, including the one to your monitor or TV. Apple imagines an ingenious device whose primary display comes via a projector, enabling you to stick it wherever suits: on a shelf, behind the sofa, on the ceiling… everything would be wireless, with the possible exception of the power cable - although power might even ultimately be delivered wirelessly using induction charging. The Apple TV already receives its content wirelessly, so it isn't much of a stretch to imagine a future Mac accessing cloud-based software too. Remember the enormous data centre Apple's been building? Of course, you wouldn't want to control an entire computer with your Apple Remote. However, you might be able to use your iPhone, iPod touch or iPad in the same way you can use them with an Apple TV. Alternatively, we've come up with a very different kind of keyboard: Tiny cameras track your finger movements and can tell if you're typing or making iPad-style gestures.